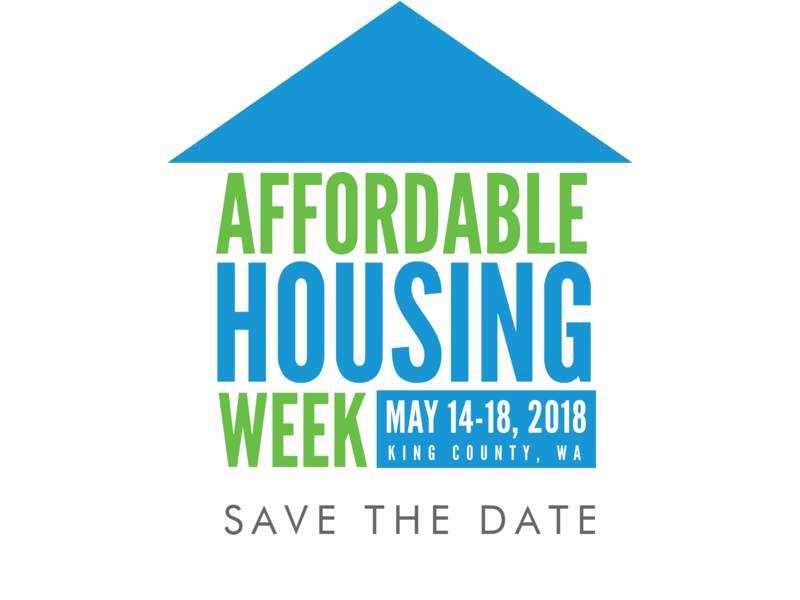 Save the date for our third annual Affordable Housing Week, beginning one month from tomorrow. The official event calendar and more exciting news are coming next week. “Jurisdictions have to have a plan for affordable housing, because the market won’t take care of it.” said one participant at an affordable housing round table hosted by Rep. DelBene in Kirkland last week. NLIHC Day of Thanks tomorrow, April 10th: Use social media to thank Congressional champions who rejected federal budget cuts, instead increasing investment in affordable housing and community development. “If we wait and try for a perfect solution, we’ll never make progress,” one neighbor says as new tiny homes for women go up in Whittier Heights. The village, operated by LIHI, will shelter about 20 women experiencing homelessness. Some tiny homes are coming from the faith community on Mercer Island. Seattle has a new website to help people with low incomes navigate the services available to them. So far, seven of the site’s 103 resources are dedicated to housing, with a new one launching later this month. Speaking of resource guides, have you seen this new, comprehensive, 132-pager from Real Change? The Emerald City Resource Guide is designed for people who are experiencing homelessness or are close to it. Kent Advocates: how about running for city council? Apply by April 20th to keep housing issues (and other developments) moving in the city by filling a spot to be vacated by Councilmember Budell, who has accepted a new job out of state. Mixed-income housing for older adults in a new mixed-used building in Auburn is coming… one day. The author may be editorializing when he uses the word “labyrinthine,” to describe the development process, but what a great word it is. U-District’s M goes before DRB: The first post-rezone high rise in the University District will go before the design review board today. For their 30th birthday, SHAG debuts a new meaning for their familiar acronym. Last week, Seattle got some major parking reform that exempts new affordable developments in certain areas from parking requirements. Curbed brings you this explainer of the reforms, and FYI Guy Gene Balk has all the data you need to impress your friends. Sammamish is collecting input to update the city’s housing strategy plan. Good people of Sammamish, your feedback is requested here by tomorrow, April 10th. Changes in store for Issaquah Highlands & Talus areas? The city’s Planning Policy Commission will consider FAR & structured parking. “A pressure cooker situation” is one way to describe the $43k jump in median home price Seattle experienced last month. Home prices have risen fastest in south Seattle, where a man called Moose has some insight into what’s going on. What impact, if any, does the Rental Assistance Demonstration have on children living in public housing? Yumiko Aratani of Columbia University explores this question at the West Coast Poverty Center’s seminar Monday, April 16th. Ignite Project Homeless wants to hear your homelessness story, especially if you can tell it in twenty fifteen-second slides. Matthew Desmond, the author of a true must-read for housing advocates Evicted, & Princeton today launched a new mapping tool to understand eviction. Next Monday: Seattle’s public hearings on mandatory housing affordability continue with a public hearing for districts 3 and 7. Planning on attending? Would you like talking points? Contact [email protected].